What’s better than hand-delivering hot banana bread to a friend or neighbor? Giving them everything they need to make it themselves. 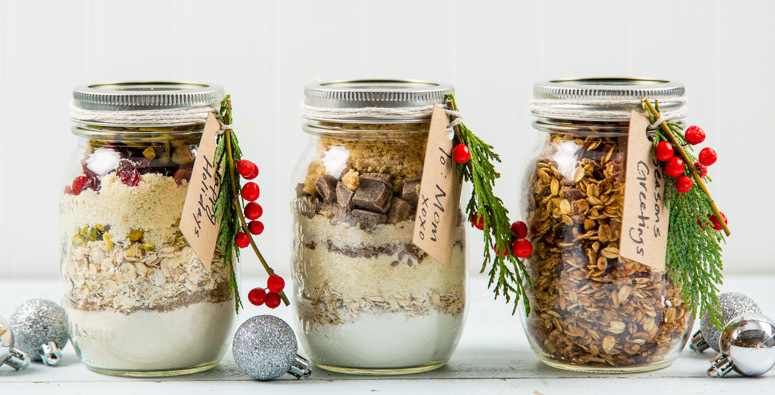 Assemble the dry ingredients in a mason jar, tie on the recipe with twine and a perfect holiday gift is made. Preheat oven to 350 F. Grease loaf pan. In a medium sized bowl, combine bananas, almond milk, butter and peanut butter. Bake 1 hour or until top is cracked and a toothpick comes out clean.